My name is Danielle Zelin. I was part of Livnot Summer 2014. This past year, I started the US branch of Tsedek (www.tsedek.org), an organization in Israel that helps Jewish children who have come from less fortunate family situations than us. These children are either orphans, are living in poverty, or have unsafe family lives and were thankfully taken out of their homes by the government. Tsedek offers a safe and nurturing environment for these children and provides hot meals, mentorship, tutoring, as well as an array of value and growth oriented programming such as art, sports, and music lessons, technology immersion and training, college preparation and scholarships, Bar and Bat Mitzvah programming, an amazing world-traveling youth choir, and so much more. 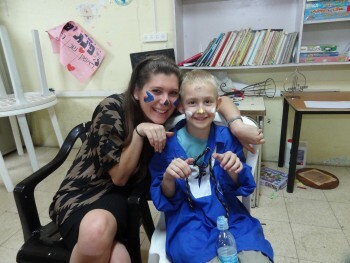 I, along with my co-director Marina, now run all of Tsedek’s US initiatives, including planning many exciting fundraising events, initiatives, programs and overall doing anything in our power to raise money to support Tsedek’s programming in Israel that make life changing impacts on these children’s lives. This has been the most fulfilling, inspiring, and challenging experience of my life. I finally feel like I have the opportunity to directly help the future of the Jewish people. However, if you would have told me this during the summer of 2014, I would have said that is simply too good to be true. I was in Israel, desperately trying to figure out the career path that was right for me before it was too late – and would have to succumb to my fate of corporate America upon returning to the US. It was through Livnot’s extremely thought provoking and inspiring kabbalistic teachings, paired with invigorating hikes through the beautiful mountains that surround the mystical Tzvat, that ultimately gave me the clarity to know what career path I should take.